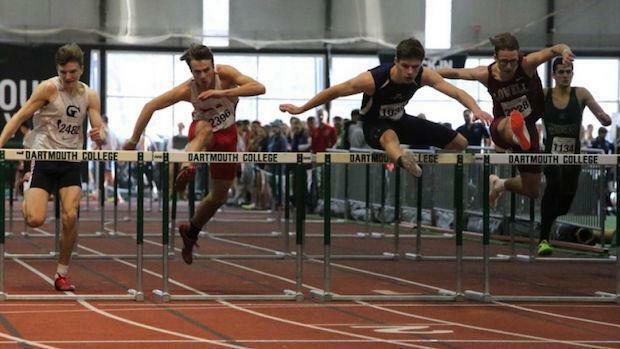 There will be some noticeable no-shows at this Saturday's New England Championships, athletes that have decided to forgo the regional meet to prepare for the New Balance Nationals, March 9-11. For starters, Lexington's Thomas Lingard and Belmont's Calvin Perkins will be taking the weekend off with eyes on NXN. Lingard won his second straight MA state 1,000-meter crown this past weekend with big-time PR of 2:27.62. Perkins upset the field in the 600m where he ran to a nation No. 2 of 1:19.97.
Who will be competing on Saturday with the possibility of manufacturing some national level performances at the Reggie Lewis Athletic Center in Roxbury? Trust us, we have many that should be making some noise this weekend with a number of events that should generate enough electricity to light up Boston.